Share the adventure, share the money. The easiest way to share money with family and friends. The additional card is delivered to your friend/family member, you activate it and start sharing funds. Simple. Link multiple cards and take charge of your family spending. You load and manage the cards from your existing account, they get instant spending money on a secure Mastercard®. It’s a win-win. The card will be issued in your loved one’s name, so they have their own secure Mastercard to spend. Can be used in over 210 countries and millions of locations worldwide. Use your card anywhere you see the Mastercard Acceptance Mark. 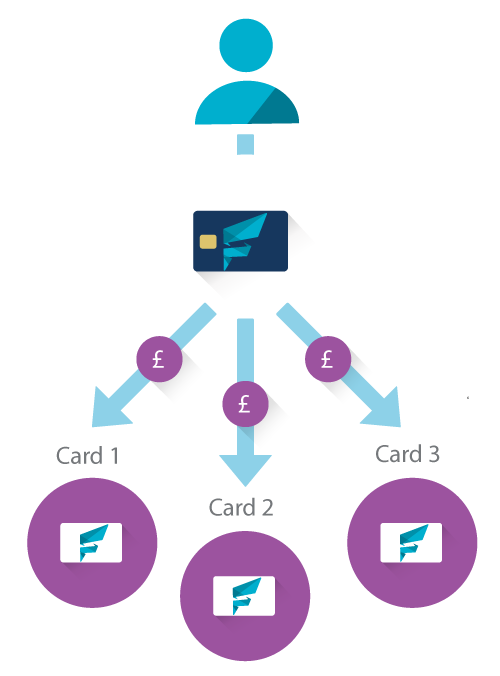 Move funds between cards and check balances on the go with the FairFX mobile app. Download our app on iOS and Android. If you have multiple cards in the same currency you can use any of them to load a Family and Friends card. You can also move funds back from your Family and Friends Card to your own card, just as long as they are in the same currency. The card will be delivered to your address (the accountholder) to activate and share when you’re ready. Before you can order a Family and Friends Card, you must already have a standard FairFX card in that currency. For example, you cannot order a Family and Friends Card in Dollars if you only have a Euro card. When you enter your additional cardholder’s details, they will receive an email to confirm their details and choose their password, so make sure you give an accurate email in the order process. “Very easy to set up and use. I have used both euro and dollar cards and have never had any problems. Highly recommended."